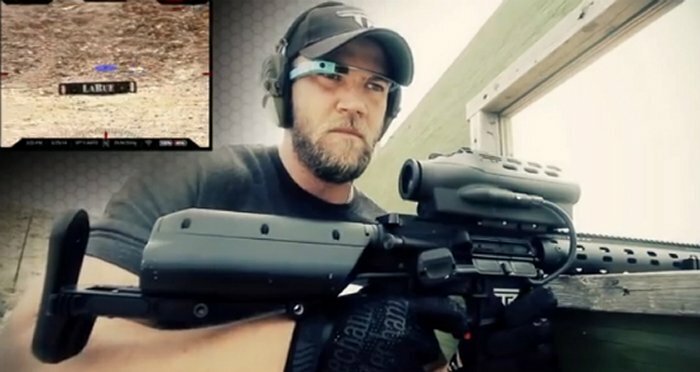 Wanna snipe someone while wearing Google Glass? There’s an app that will help you with that. TrackingPoint labs has come up with an app for the wearable device that helps less accurate marksmen shoot better. It will take into account things like wind resistance, firing around corners, and other potential factors that will help you get that headshot on your victim. Nah. This isn’t creepy at all. There is no question that the military will be all over this, but do you want the typical Google Glass wearer armed with this app? After reporting on some of the controversies that have come up with Glass wearers, I know I wouldn’t want some of these people to have this. Some of these humans just seem not too bright. I’m sure everything will work out alright. Just, uh, be very nice to Glass wearers from this point on. Treat them like the VIPs they are. Otherwise, who knows? You might just get sniped by one of them. It’s awesome as far as technology goes, don’t get me wrong. It is just a tad creepy. Oh well, we’ve had this kind of thing in our video games for a while now. Might as well unleash it on the world.